"Each individual can make a difference. If each of us does all we can, collectively we can make a difference." 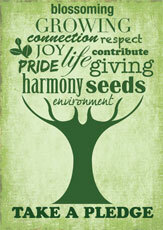 The success of Project GreenHands relies upon the development of strong ongoing partnerships. Over the years, PGH has partnered with the government, corporates, schools, colleges and NGOs in various environmental initiatives. The Project has already attracted the support of a large number of organizations in Tamil Nadu, and that of its first International sponsor, Foundation Yves Rocher. 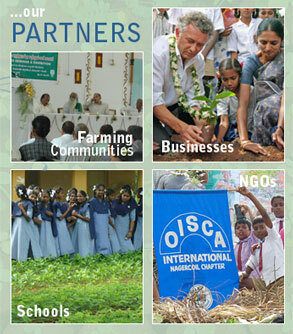 Without exception, these partnerships with their underpinning connection to the ethos of Isha Foundation, have fuelled a passion, inspiration and deep sense of personal fulfillment within every individual who has been involved. We offer our partners the chance to become involved in an inspirational project that is not only improving the ecology and lives of people in rural Tamil Nadu, but also has the potential to provide an effective, life-enhancing, community-based solution to other parts of the world.